Eye doctors in Chicago and across the country often recommend that patients wear protective eyewear while playing sports in order to prevent or lower the risk of serious eye injuries. An eye injury can cause permanent damage to your eye, and may necessitate a visit to an ophthalmologist for emergency eye care or eye surgery. Here is a look at some important facts about sports eye injuries and maintaining eye care while playing sports. The most common causes of sports-related eye injuries are fast moving balls, swinging clubs or bats, and aggressive contact between players. The sports that result in the most eye injuries are high-contact sports such as basketball, baseball, and racquet sports. 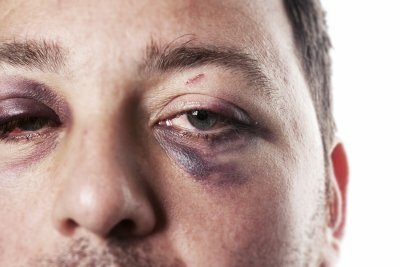 A sports-related eye injury can be blunt, penetrating, or radiating. Regardless of how minor an injury seems, it’s crucial that you visit an ophthalmologist or eye doctor as soon as possible to evaluate the extent of the injury and receive appropriate eye care. Eye doctors, opticians, and ophthalmologists recommend that everyone wear protective eyewear when participating in any type of sporting event. The eyewear that your doctor recommends will depend upon whether the sport is high-risk, moderate-risk, or low-risk. Eyeglasses and sunglasses are not appropriate protective eyewear, and if you wear contact lenses, you’re at a higher risk of a serious eye injury. Your optical center might carry certified safety eyewear that is appropriate for the sport you play. If they don’t, your eye doctor can refer you to a sporting goods store or specialist for protective eyewear. Not every eye injury necessitates emergency eye care. If you sustain an eye injury that results in sudden vision loss, severe pain in or around the eye, bulging or swelling of eye tissues, double vision, excessive discharge or tearing, or new or extreme floaters, halos, flashes, or streaks of light, visit an optical center for emergency eye care. Your eye doctor or ophthalmologist will perform diagnostic tests to determine whether you’ll need eye surgery.